The San Diego Section preliminaries will be held Saturday at Mt. Carmel HS with the girls competition beginning at 9 a.m. and the boys beginning at 2 p.m.
Running: The top nine (9) Division I finishers and nine (9) Division II finishers in each event will qualify into Section Finals. Exception: In the 1600m and 3200m, the top 12 in each division will qualify for CIF Finals. Horizontal field events: The top nine (9) Division I finishers and nine (9) Division II finishers in each event will qualify into Section Finals. Unless a tie occurs for the 9th spot, then both athletes tied for 9th will advance to the finals. Vertical field events: The top 9 in each division will qualify for CIF Finals. If there is a tie for 9th at a given height, a maximum of 12 will advance. If those tied at 9th brings the field to greater than 12, the miss rule will be applied. Note: For more specifics on qualifying and seeding into the finals, refer to the Track & Field Championship Bulletin. 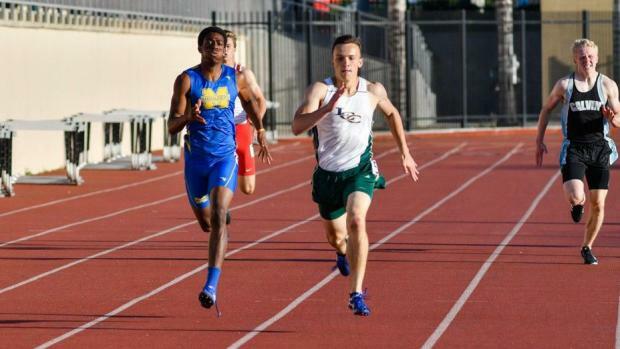 We used the MileSplitCA database to run a virtual meet of the San Diego Section athletes, ranking both the top individuals by event group, which also tabulates team scoring.